If you are a die hard Twilight fan, hear me out here. Up until the last installment in The Twilight Saga, I was starting to think that the movies were getting better and better. The first film was pretty bad, there is no doubt in my mind there. But each subsequent film I was forced to watch and review seemed to get less painful. The directors got better, the acting even improved – and visually there were some interesting things to look at. But all of the progress they made in filmmaking took a giant leap back when Breaking Dawn – Part 2 came out. It had been around a year since I had seen Part 1, but the film I was watching clearly seemed like it was made by a different crew. Everything from the terrible opening credits that looked like they were created by a third grader in Windows Movie Maker, to the awful special effects and writing. The movie was honestly, without over exaggerating, one of the worst movies I had seen in a long time. And this is coming from someone who looks at the franchise with an open mind, and was enjoying each film more than the last. I don’t understand how it was so much worse than the first part of the same movie. As you might have imagined, there is no force on Earth or otherwise that could keep the fans of Twilight from seeing the conclusion to the story they have been watching for nearly four years. 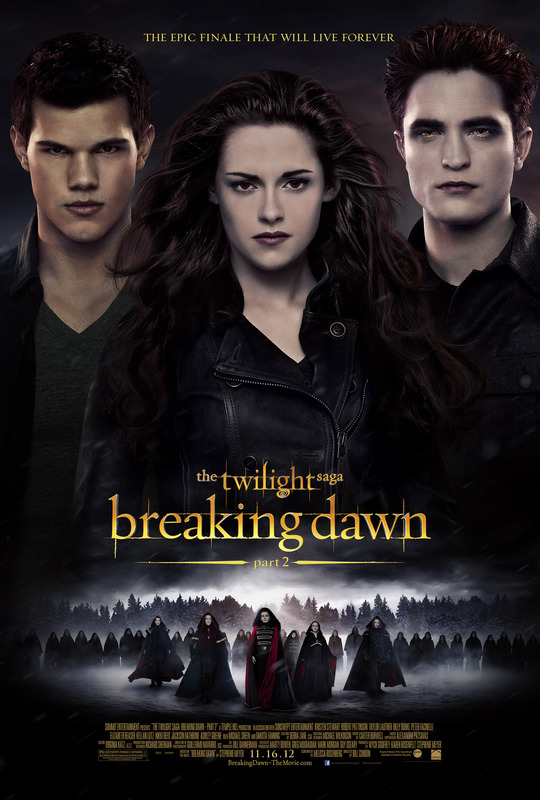 The Twilight Saga: Breaking Dawn – Part Two brought in $292.3 million domestic, and an incredible $536.9 million foreign. The grand total for Part 2 is $829.2 million worldwide. FUN FACT: All of the Twilight movies combined have grossed over $3.34 billion dollars.